What do you do when you get a cold and Flu? 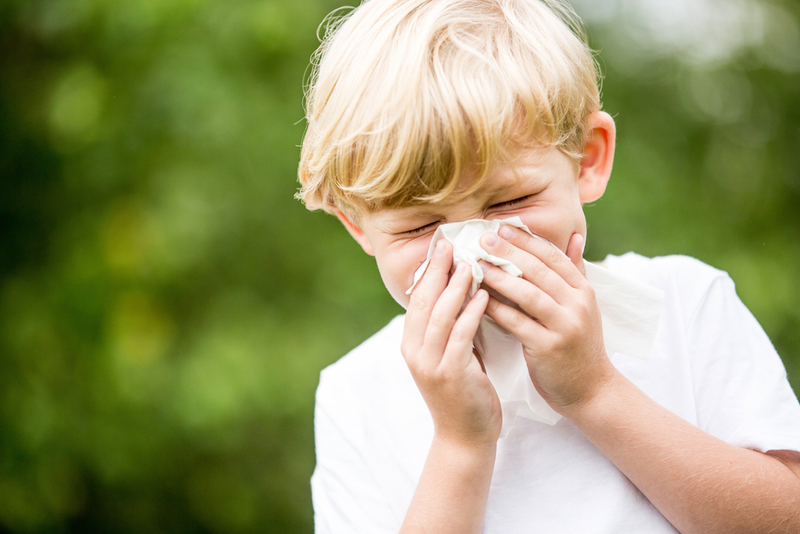 Fevers, cold/flu, diarrhoea, vomiting are all clever mechanism the body uses to heal itself. These are also very common healing crisis. Or can be from an overburden body trying to realise out..ever noticed that you get a “cold” after a big week of indulgent foods or a stressful week at work. Unfortunately most people will suppress it instead of assisting what the body is trying to do and you don’t want to get into suppressing minor symptoms like that, as it leads to more issues down the road. I see this a lot of people even in the natural health community, because they are still trying to fix symptoms instead of understanding the cause. This is still an allopathic approach disguised as natural health. Whatever you use to suppress symptoms (even herbs or natural treatment) will not improve health in the long run, because the body’s elimination process has been stopped you are working against the bodies instincts. When we suppress, all we are doing is ignoring the cause or the message the body is sending us. I understand symptom can be quite annoying and it’s hard to see your child “unwell” but if you know exactly what is going on with the body, you can assist it in what it’s trying to do, without obstructing the flow of energy….Intuitive self healing! So what is a fever exactly in many cases? I can be due to dehydration, stress, a rise in blood pressure, etc. In most cases a fever is the body trying to dissolve and move stagnant mucus in the brain and sinus area. Please note if your fever is to high consult a specialist. You can get rid of colds, flus, fevers in about a couple hours following these procedures , but sometimes it takes a day or two depending on how much discharge the body is trying to get rid of or how much stress the body is under. It will definitely shorten the severity and duration of whatever you are dealing with. Using essential oils to cool the body like peppermint, but not stopping the fever is great. Adding 1 drop with a carrier oil to the soles of your feet or placing 2 drops in a salt bath for children. Drink plenty of liquids (preferably natural juices of the sub acid and acid category or my lymph buster) as this will help the body flush out toxins at a faster rate. You want to open the bowels, especially with a fever. If there is a lot of mucus in the sinus/head area, there is definitely too much in the transverse colon. Enemas are great in this case even twice a day while you feel congested. Instead of cold bath, think sweat bath if possible. You want to sweat out the toxins as well. This can be done by drinking some ginger tea and then taking a hot bath. Afterwards, go to bed and cover yourself with a blanket to sweat out the toxins. Or go to sauna and cold plunge if you feel up to it. Avoid using cough suppressants (even herbs that do this) instead use decongestants or expectorant herbs like mullein, eucalyptus, Echinacea, etc. especially if you get green, brown or yellow (thick) mucus coming out. That is a good sign. White is acute, yellow is sub acute, green is virus and toxic, brown is chronic, black is degenerative. Often coughs that linger and have been shown not to be a virus can be upper respiratory, due the cough respiratory being in the ear nose and throat and if these areas are congested with mucus…cleaning them with ear candles or room temperature organic olive oil perpetuated into the ear canal for 15 minutes each side and massaged so the oil dislodged the wax and draws it out. This can also be done with a clean sock filled with sea salt and tired at the top, then heated in a pan and gentle placed on the ear for 10 minutes each side, with eucalyptus oils dropped on to the warmed sock. This will draw toxins out to. Also if you get swollen lymph nodes, use lymphatic and kidney herbs. Good lymphatics are plantain, cleavers, red clover, pau darco and good kidney herbs are nettle, cornsilk, chapparal. I invite you to stop treating symptoms! Stop fighting the body’s elimination processes! Stop going against the flow of energy of the body! I invite you to understanding the cause instead of the effect! Start assisting the body in doing what it does best…self healing machine! https://nourishtohealth.com.au/wp-content/uploads/2018/03/shutterstock_772730767.jpg 632 1000 Hannah Miles https://nourishtohealth.com.au/wp-content/uploads/2016/12/cropped-nth-watercolour-banner-logo-tagline-social-media-300x114.jpg Hannah Miles2018-03-29 02:48:372018-03-30 20:54:48What do you do when you get a cold and Flu? Dairy and soy free sour cream. So what’s it made out of? Don’t’ worry it’s packed with flavour this “Sour Cream” is made from sunflower seeds! Whisk the garlic, lime juice and dates, in the bottom of a bowl and set aside. Cut up the veggies into small pieces, chop the cilantro and add everything to the dressing bowl. Fold to combine and let sit for at least 10 minutes to allow the flavours to meld. Place the sour cream in the bottom of coz leafs and dress with the salsa and fresh coriander on top! 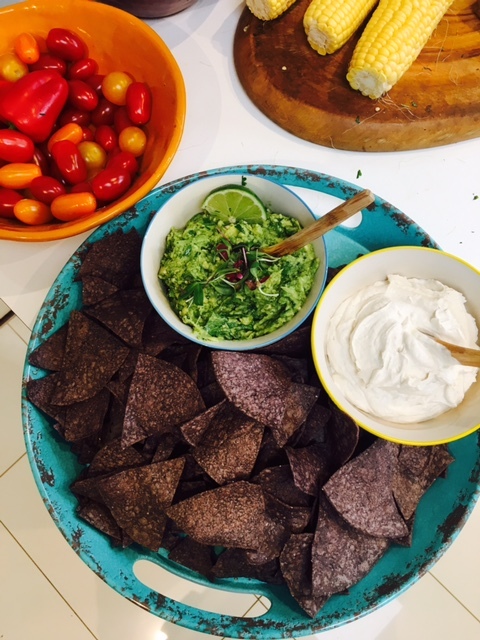 This goes really well with my raw tacos and mango salsa…check them out here! Mango capsicum salsa. and Raw Mexican tacos! https://nourishtohealth.com.au/wp-content/uploads/2016/12/fullsizerender-4-1.jpg 640 480 Hannah Miles https://nourishtohealth.com.au/wp-content/uploads/2016/12/cropped-nth-watercolour-banner-logo-tagline-social-media-300x114.jpg Hannah Miles2016-12-02 10:20:102018-12-16 06:40:23Dairy and soy free sour cream. Food combining and why is it essential for health!-chart. Food combining has been increasing in its awareness in the last decade but was brought to our attention by Dr H Shelton in the 50’s and 60’s. It is recognized that our stomach digests foods at different rates and by using different enzymes to digest each food. If we desire to have optimum health and wellness, we must know the importance of maintaining a properly “balanced diet” in relation to the acid/alkaline diet. 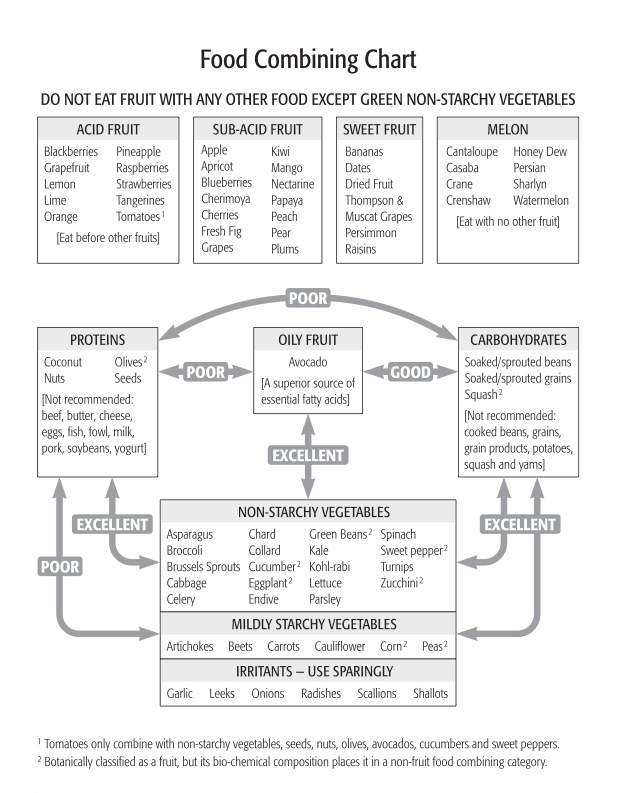 Without proper food combing principles our diets will eventually lead to indigestion and acidosis. This will rob us of our cellular energy required to attain an overall healthy body. Instead of looking at food as “Calories” look at it as fuel that if our bodies are able to assimilate them with ease we get energy. If your stomach is unable to digest the foods properly it doesn’t matter how much nutrition is in the food or what the diet is called, because your body isn’t absorbing any and you become malnutritioned, most of the western world is fat but malnutritioned. We are fat and starving!! The good thing is when you’re combing food properly your body will reduce weight, eliminate bloating, feel good overall, and get the most out of the foods you eat and will keep your gut healthy. And the energy goes to running your brain and healing your cells. So how do we do this food combining thing? 1. Never Eat Carbohydrates with Acidic Foods in the Same Meal. Do not eat bread, potatoes, peas, beans, bananas, dates, or other carbohydrates with lemons, limes, oranges, grapefruits, pineapples, tomatoes or other sour fruit. The enzyme, ptyalin, acts only in an alkaline medium; it is destroyed by a mild acid. Fruit acids not only prevent carbohydrate digestion, but they also favor their fermentation. Oxalic acid diluted to one part in 10,000, completely arrests the action of ptyalin. There is enough acetic acid in one or two teaspoons of vinegar to entirely suspend salivary digestion. Tomatoes should never be combined with any starch food. They may be eaten with leafy vegetables and fat foods. The combination citric, malic and oxalic acids found in tomatoes, (which are released and intensified by cooking which is why I do not suggest cooking tomatoes ever! 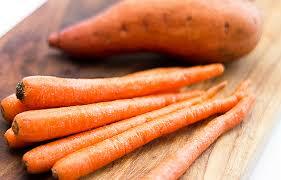 ), is very a detrimental to the alkaline digestion of starches in the mouth and stomach. They should not be used on salads during a starch meal. In cases of hyperacidity of the stomach, there is great difficulty in digesting starches. Much discomfort is caused by eating them. They ferment and poison the body. Acid-starch combinations are very rare in nature—the sour apple coming nearest to being such a combination to which we natural spit this out . . .
Fruit is a food that digests best when eaten alone. While you’ll read in (4.) 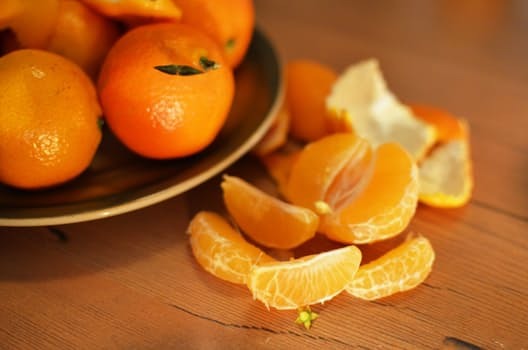 not all fruits digest best together, it has the fastest exit rate of the stomach as fruit does not digest in the stomach, therefore fruits should be eaten first or alone. For those concerned about their blood sugar or candida, as long as fruit is eaten without fat and/or with leafy greens, blood sugar will remain stable. So fruity raw deserts are a disaster on the digestion. fruit is abundant in nutrients, anti-oxidants, and water, fruit is an excellent snack that is easily digested by the human body but needs to be eaten first, starting with acid fruits then moving on to sweet fruits and proteins after all fruit has been consumed! Is it a common occurrence to consume a heaping serving of mashed potatoes next to a large portion of meat and/or dairy? This is one of the worst food combinations ever, but can easily be improved. Because the human body requires an acid base to digest proteins and an alkaline base to digest starches, this can lengthen the time of digestion and cause fermentation in the gut. This can lead to bloating, indigestion, and stinky bowel movements as the food putrefies in the gut. To correct his, it is best to eat proteins with non-starchy vegetables and especially leafy greens. Starches can be consumed on their own or with other vegetables, but not with protein. Proteins that are cooked renders the protein particles in it useless for the body, and cooking demonises it making it unable to be digested fully. Have you ever had the mistake of consuming watermelon after a dinner? Most likely you experienced gas, a slight blood sugar drop, and/or nausea. That is because melons are the type of fruit that digest completely different than other sweet treats. For optimal digestion, melons should be consumed alone and on an empty stomach first thing and then not eaten again in the day. Remove them from your mixed fruit salad. Greens are easily ruled as one of the best foods for mankind. Loaded with amino acids (building blocks of protein), essential minerals and nutrients (B vitamins, magnesium, iron, and more! ), along with fiber (great for digestion). They combine well with all foods, and therefore should make a regular appearance on your plate. If you’re not consuming your 3 – 5 cups of vegetables a day then adding a cold pressed Barley Grass powder it to water, juice, or your favourite smoothie can help keep your mineral up! For example, a salad is a great contribution to every meal and the live enzymes will help your other food digest smoothly. Eat your salad before any other food on your plate for maxima digestion. While overt healthy fats combine well with everything (except fruit! ), they should be used in limited amounts as they are very calorie dense and slow down digestion and when used with fruits cause bacteria and yeasts breakouts. Oils should not be consumed as they are not a whole food and when cooked become indisputable and poisonous to the body. Therefore, save your meal with fats like avocado or nuts for dinner or allow your body at least 4-5 hours to digest a dense lunch before eating again. You should only take probiotics 30 minutes before a meal not during. Mixing probiotics with a meal may decrease some absorption. The reason is that the probiotic ends up spending more time in the stomach. Another reason to take them on an empty stomach is because before the journey to the intestines, the bacteria will have more difficulty surviving the harsh stomach acid during digestion, affecting their potency. Don’t take them after a meal! Probiotics that are taken after a meal have even more difficulty surviving stomach acid levels as this is when your stomach acid is at its peak. A study from 2013 found that when a probiotic supplement was taken after a meal, extremely low levels of bacteria actually survived. A recent study in the Journal of Beneficial Microbes showed that probiotics are optimally absorbed when taken prior to a meal and were absorbed almost as well when taken with a meal containing fats. If you are however eating vegan plant based diet, high in complex carbohydrates and fruits and low in fats you should not need Probiotics. What is a ‘Health Coach’ and how can they help you achieve your goals? If you eat proteins no water for 4 hours after. If you eat vegetables no water for 1 hour after. This is chart for you to put on your fridge and follow to the T! Check out my gut healing protocol here:Hannah’s Gut Healing Protocol. https://nourishtohealth.com.au/wp-content/uploads/2016/09/food-combining-chart-by-david-klein-1.jpg 793 622 Hannah Miles https://nourishtohealth.com.au/wp-content/uploads/2016/12/cropped-nth-watercolour-banner-logo-tagline-social-media-300x114.jpg Hannah Miles2016-09-04 13:47:182018-01-29 08:24:28Food combining and why is it essential for health!-chart. 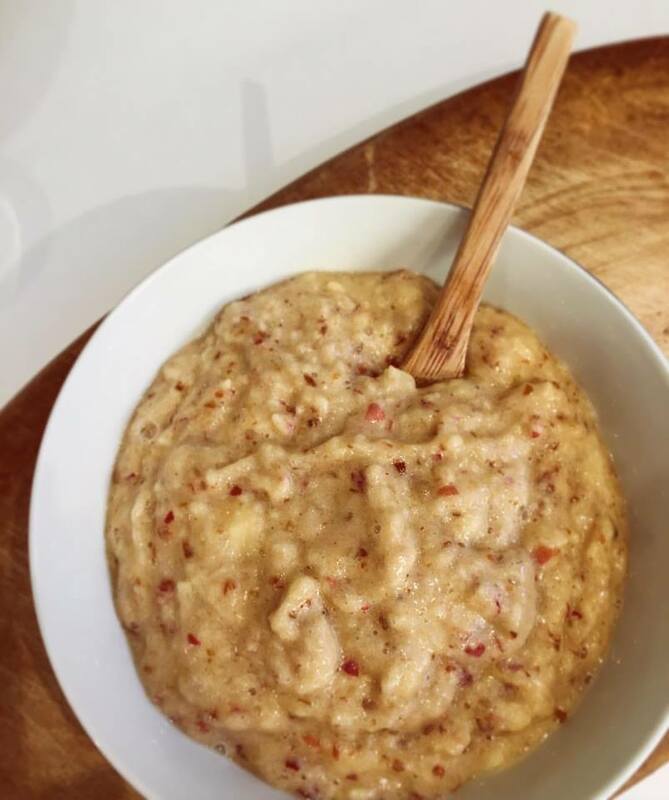 My favourite raw winter porridge. . . Keeps my tribe full till lunch. 🍌 3 ripe bananas per person. 2 ripe sticky dates per person. 🍎 1 crisp apple cored and quartered per person. Add 1 drop of Ginger and Cinnamon doTERRA essentail oil for extra warmth. Place all the ingredients into a food processor or blender and blitz until an oatmeal type texture forms. Then add 1/2 cup hemp seeds per person or/and 1 tbsp chia seeds per person. You can add 1/2 tsp of cinnamon per person too or 1 inch fresh ginger per person is nice as well. If you don’t have apples try just ripe pears 🍐. https://nourishtohealth.com.au/wp-content/uploads/2016/09/13709994_1821235304829689_7795236045357259890_n-1.jpg 960 803 Hannah Miles https://nourishtohealth.com.au/wp-content/uploads/2016/12/cropped-nth-watercolour-banner-logo-tagline-social-media-300x114.jpg Hannah Miles2016-09-01 18:56:522019-03-10 03:40:04Raw winter porridge. 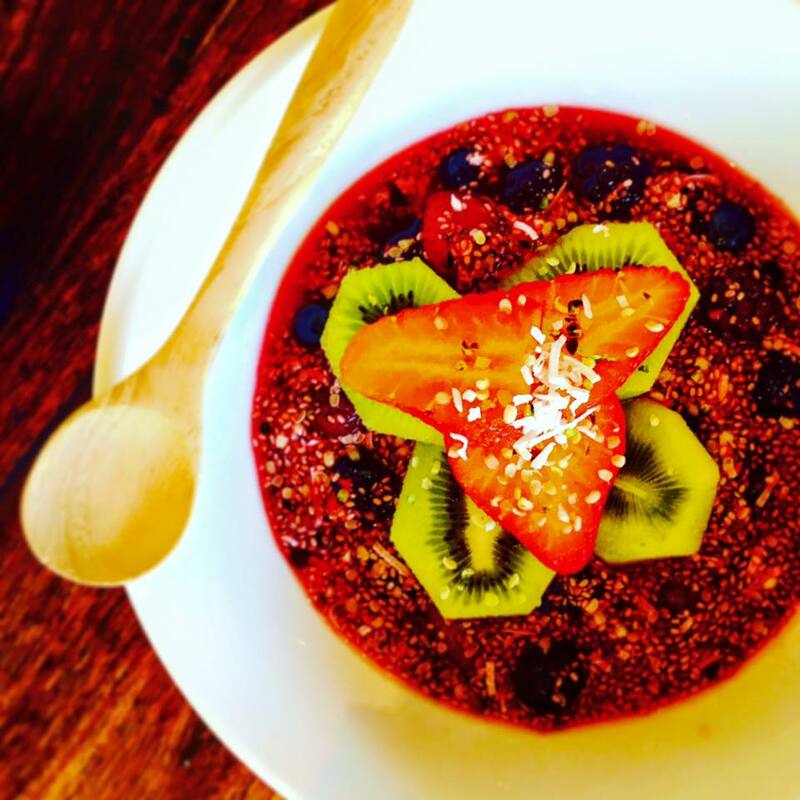 Berries and kiwi chia breakfast bowl. Leave for 15-20 minutes to soak up the water. Add more if you require. Add chopped fresh strawberries and kiwis on top with more seeds and coconut. https://nourishtohealth.com.au/wp-content/uploads/2016/09/14080069_1842218746064678_393011744685275436_n-1.jpg 960 960 Hannah Miles https://nourishtohealth.com.au/wp-content/uploads/2016/12/cropped-nth-watercolour-banner-logo-tagline-social-media-300x114.jpg Hannah Miles2016-09-01 18:43:002018-01-29 08:42:42Berries and kiwi chia breakfast bowl. 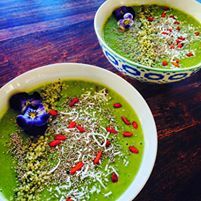 Green brekkie bowl . . .
https://nourishtohealth.com.au/wp-content/uploads/2016/09/14080051_1844550655831487_4596275264562900500_n-1.jpg 201 201 Hannah Miles https://nourishtohealth.com.au/wp-content/uploads/2016/12/cropped-nth-watercolour-banner-logo-tagline-social-media-300x114.jpg Hannah Miles2016-09-01 18:29:532018-01-29 08:44:10Green brekkie bowl . . .
Why do we get sick and why are we always so tired? Are you overwhelmed by how much conflicting nutrition advice is out there? Yep I remember that feeling. You try everything and nothing really works you feel frustrated and confused and do not know how to get yourself well. One specialist say this and another says that and you pay $$$$$$$$$ on supplements and remedies and potions to get told those things you just brought don’t help you. Oh gosh what around about! What is a ‘Health Coach’ and how can they help you achieve your goals? I hope to show you a bit of the basic science so you can understand what causes sickness and how easy it is to reverse it. And how to see the truth and find your healthiest self. Without the need for supplements, herbs or synthetic food replacements, or powders. So hear goes . . . Natural Hygiene which I am proud to be a student off is a philosophy started by Doctor Herbert Shelton in which he teaches about the branch of biology in which health depends and the means in which it can be sustained. It is the principles of nature and observing the laws of life, and that man is the cause of all his diseases and those diseases do not come upon him without just cause. Lets look at your body like a battery, and that battery is your daily life force or energy. This energy is the power it needs to move, study, digest, work, run, breath and repairing the cells and a host of things in-between. Each activity uses a different amount of energy, and after a good night sleep the body it restores to its full energy force again. Right? Well what if your body cannot recharge? Or that you are not getting enough sleep or the quality sleep you need? Then your battery will not be able to recharge to its full capacity and you will not have the full amount of energy to complete your tasks. There must be a balance between the energy we expel and the energy we recharge. If we send out more energy than we get back through sleep then are bodies are depilated and cannot function healthily. We call this energy debt! You may know this as brain fog, muscle ache, yawning during the day, and lack of motivation, or lack of libdo. We have reserves naturally and our bodies know how to use these stores to keep us going . . .but what if you are living off your stores and not replenishing them properly? Certain parts of your body take more energy than others to run, these are the digestive system and the waste system, (your lymphatic system). So the body is so clever and it’s sole job is to stay alive so it would not choice (1.) Unless it had not other option or . . .(1.) was being stopped! so (2.) Is it’s choice! So once the level of waste has reached its threshold the body then sends out an acute illness to expel the waste . . . asthma, eczema, flu, colds, rashes, sore throat, sleep issues, gastro bugs, coughs, headaches, diarrhoea or a fever. These symptoms are the fastest way for you body to expel the waste. It is trying to communicate with you to take action. Once this cough or fever or rash has stopped, the waste has been removed and the body goes back to normal if you give it rest. But we don’t do this in this day and age. We suppress with medications, herbs and pills to stop the acne or the fever or the cough or we stimulate ourselves with cocoa, coffee, spices and flames feel good while our system is struggling to cope. We treat the symptom, which is the cure!! We treat the symptom, which is the cure!! Say that out loud a few times to let it sinks in . . . The body tries to eliminate the excess waste, if you supress this it creates the illness. The waste gets trapped in the body and cause more extreme diseases. Disease is organic damage. This shows up in eczema, psoriasis, lupus, inflammatory bowel diseases, migraines, eye degeneration, hair loss, thyroid conditions, infertility, fatigue, diabetes ect and then once the cells are so organically damaged and unable to grow properly they mutate and that’s what we call cancer. Cancer is just a collection of symptoms that have been ignored and mineral defences within the body. We run into difficulty when our bodies cannot remove the waste and toxins as fast as we put them in. Not all of these things are in our control our air, soil and water is polluted but we can control what we consume and the lifestyle we lead. How do we heal disease? Which ways in life do you add in toxins and which ways do you counteract this? Is your balance right? Are the conditions in your life causes disease or healing it? Each person will need a different approach to remove excess waste from there body. But giving the right conditions the body is very well equip to heal it self. YOUR BODY CAN HEAL IF YOU TREAT IT WELL AND CHANGE WHAT YOU ARE DOING! Check out my gut healing protocol: Hannah’s Gut Healing Protocol. https://nourishtohealth.com.au/wp-content/uploads/2016/09/www-nourishtohealth-com-au.png 453 453 Hannah Miles https://nourishtohealth.com.au/wp-content/uploads/2016/12/cropped-nth-watercolour-banner-logo-tagline-social-media-300x114.jpg Hannah Miles2016-09-01 13:02:112018-01-29 08:45:11Why do we get sick and why are we always so tired? A simple guide to understanding Nutrition and the part it plays on your body, and how to heal your own body! Nutrition is the process where raw material is converted into living structures. Materials which are used for digestion, fertility, rebuilding of cells, and repairing of tissues are accomplished. The body is equipped with a whole series of amazing organs, (this is a part of the nutritive system) which allow the body to take in raw materials like air, sleep, water, real food from nature and sunshine and turn this into life. By taking these into the body it is converting them into the blood stream so it can be taken to all parts of the body and used by the cells of the body and converted to structure and tissue. To make and keep life! FOOD-We take in food and chew it slowly hopefully, and this is the first step where enzymes break down starches and create sugars, we then take it into the stomach where small glands excrete juices and break it down further. We then pass the food in to the small insensitive where more glands produce more juices and also juices from the pancreas and bile from the liver are together used to break the food down further. It reduces the food into small compounds where it can be passed into the blood stream and be utilised. This is called absorption. All these glands and organs are part of the digestion system. When the food particles are in the blood stream, they get picked up and moved to the liver where it then goes through more changes, where it get passes back into the blood to be utilised by the cells. This is a part of the nutritive system. We cannot live without fresh raw food. Food combining and why is it essential for health!-chart. WATER- we take it into the stomach just like food, but water does not need any digestion and goes straight into the small intestines and can be passed around the blood stream to be utilised by the cells. Too much water or water eaten with food simply dilutes the digestive juices and flushes the minerals and goodness from the body. We cannot live without fresh clean water. If our water is filled with fluoride and chemical this does not nourish us but aids in being a load on the body. How much water is good for you, and why you should never take it with food? AIR- we should take it in through the nose (not the mouth) and it is then passed down to the respiratory tracks and into the lungs our largest waste organ, where the blood picks up the oxygen and carries it to the cells to be used by the circulatory system. This is another part of the nutritive system. 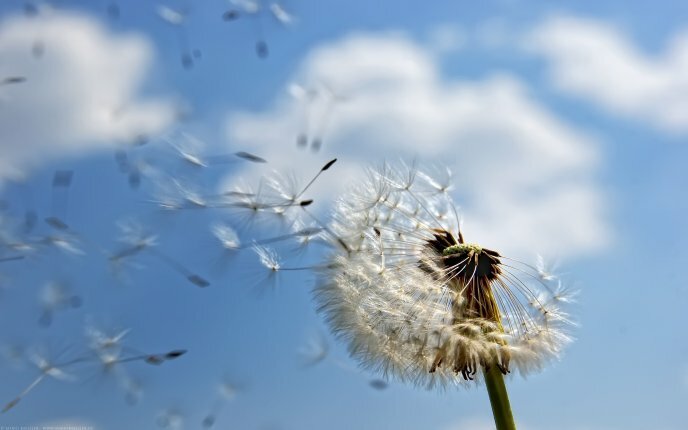 We cannot live without fresh clean air. 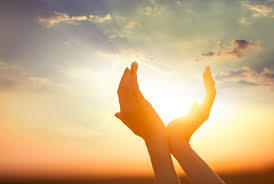 SUNSHINE– the skin is your largest organ and sunshine is a raw material vital to our bodies. The glands in the body need sunshine and the vitamin D we get from it to convert into tissues and building material. We cannot live without sunshine. The sun does not cause skin cancer the products the sun burns onto the skin causes skin cancer. Small amounts of sun exposer daily is nourishing and needed. Cover up if you are in it for longer periods as too long can deplete your body. SLEEP- we do not heal from the food we put in our mouth! food is simple a way to fuel the body and can either put presure on it , or take pressure off of it. A system that is not overloaded but nourished when you go to sleep, can use these raw materials to repair, restore and re build our bodies. If we do not get enough sleep we will simple break down and age faster and our cells will start dying off and sending out symptoms of sickness and disease. This is the first stages of cancer. Sleep allows the body to rejuvenate and re grow. It must be good quality sleep and not induced by a suppressant or sleeping pill and this is not true sleep and will not allow your body to really switch off. Sleeping and removing the load off your body is the fastest way to repair it and reverse damage. If you are exhausted stop work and all vigorous exercise and sleep as much as you can for as long as you can. It is through the endocrine system, the respiratory system, the circulatory system and the digestive system that nutrition is taken in and for the body to repair and re build it self, it needs rest and proper sleep. They all have to flow and work together which is why removing glands like tonsils and appendix is never a healthy option, as this has an effect on every cell of your body as it is clever balance. And all of these raw materials need to be in plentiful amounts and of the highest quality for it to complete its tasks. Drainage or (detoxification) is the process of which waste is removed from the cells and carried to the organs that do the excretions; skin, kidneys, liver, bowels ect and then from the blood into the large intestines and excreted out the body. This is big process for the body and takes the lymphatic system to be working properly for the waste to be removed. The lymphatic system picks up waste from the cells and carries it through channels into the blood stream. These are things that do not need to be in the body like ie toxins, heavy metals, chemicals, fat, unnatural foods or synthetics, excess minerals it cannot store ect. The lymphatic system then passes it through the lungs to remove carbon dioxide and then goes to the liver and that then passes the waste materials to be converted and used again where possible into the blood, it then goes on to the large intestines and the waste is then excreted from the body in stools or urine which is filtered blood. If this process does not work you get backed up in your lungs (Asthma, croup, CPOD ect,) liver (fatty liver, low stomach acid) skin (eczema, acne, psoriasis ect) and intestines (IB ,Crohn’s and leaky gut) and your blood gets sticky and your lymphatic system slows down unable to work further. The body then leaches waste in to the blood from the instines and the body sends out ways to clean it up and the food particles get trapped and leaky gut is created. You store your waste in fat cells and the body tries to clean the lymphatic system by sending out mucus and bacteria. The mucus then putrefies and causes infections in the ears, lungs and skin. The bacteria gets overgrown and cause imbalances and yeast overgrowths. If the body is not draining probably this affect the glands as they stop excreting juices or produce too much, and of course this all effects the hormones as hormones are made in the glands. . .Wow!! Are you starting to see how EVERYTHING is connected and how removing glands, or organs just is not the answer, how surpassing symptoms with drugs and medications only leads to death. We must restore balance to the body and only put raw materials into the body. This is all controlled by the nervous system. The nervous system is so vital in the body, without that transmission nothing would work. So the final part of nutrition is the stress levels in your life. If you can remove the stress and the toxic relationships and trauma and return the body to the parasympathetic nervous system (rest and digest), and allow the body to drain the waste correctly then you can control all illnesses and diseases, retuning the body back to it’s healthy balances state. CLEAN PURE WATER –not the chemical cocktail from a tap! I hope this information helps you to make the wisest choices for your clever body. The only thing stopping your health is YOU! https://nourishtohealth.com.au/wp-content/uploads/2016/08/635573723043143375550919411_water_filters_bg-1.png 410 940 Hannah Miles https://nourishtohealth.com.au/wp-content/uploads/2016/12/cropped-nth-watercolour-banner-logo-tagline-social-media-300x114.jpg Hannah Miles2016-08-31 19:03:512018-01-29 08:46:26A simple guide to understanding Nutrition and the part it plays on your body, and how to heal your own body! Carbs carbs carbs . . . good, bad and how many is right for you? Carbohydrates are an essential building blocks for health and healing but getting the right ones is the key. The key is choosing them wisely, and timing them properly. Used optimally, carbs can enhance your fitness regimen. Settle your hormones and promote sleep or derail it all and cause sickness and disease. Since I was 16 I’ve heard all the “rules’ about carbs, I remember my old hairdressing clients when I was 18 on the Atkins Diet which was strictly no carbs and the no carbs after 5pm . . . you have seen them all right? But are you confused as I was? Well I went on a research rampage over the last few years and through my nutrition training this is my take and personal experience with carbohydrates. From being a vegetarian fruit, vegetable, grain and whole food eater. I went on the ‘low-carb’ bandwagon and I even tried Ketosis (extremely high fat, high protein and very low too NO carbs) and it was the sickest I’ve ever been although I was sick before, but it made me much worst. It has a great effect on obesity as you can loose weight dramatically but not correctly, or on very sick epileptic children who need a high fat diet for the brain to cope . . . being ‘low carb’ can work for some and can be stepping stone to get you where you need to go in short time but it is my belief and through my research that a prolonged time of ‘low-carb’ is not good for the brained can do more harm. I have seen when people cut out all fruit and go low carb the body can not cope and goes into shut down mode, the more I was trying to clear by body and loose weight the worst I got as it was starved of all glucose which is essential for the brain to function for the glands to produce a healthy balance of hormones and for my body to thrive. The Paleo way of eating is still ‘low-carb’ as is the Gaps Diet which promote real foods and healthy living so again can be a stepping stone in your healing journey, so this information below can still be used in conjunction to that way of eating. I still stand by my body feeling so much better without soy, grains, legumes and sugar but it did not go so well with the much needed simple healthy carbohydrate. So now I eat an abundance of healthy simple carbohydrates in the form of fruit and vegetables each day, at each meal and I have not gained any weight and I’m slowly building the much needed muscles I lost through my Adrenal Fatigue and Fibromyalgia, as simple carbohydrates release energy slowly in to the cells I have energy! Yay to that fellow Chronic Fatigue suffers- you can have it too. I can now exercise without crashing back to bed for days and my hormones are balanced. This has taken a year of trailing how much carbs my individual body needs and slowly slowly introducing the right type of exercise for my body and it’s needs-blocking out the latest fads in exercise and ways of eating and listening to my body and what it needs each day- not comparing my body to any one else body and loving the ride. So let’s break this information down . . . when you work out, have a busy life you need energy or in my case having Fibromyalgia meant each night as I slept my body switch on the muscles like I was running a marathon; thus waking me up with exhaustion and achy muscles. This is because the muscle needs an energy source or they will start breaking down the muscle for energy. If your food source is low in natural glucose and fructose from fruits the body can not sustain energy and then that effects your endocrine system and your whole body. In others words your body is starving or thinks it’s in starvation/famine so it eat’s the muscles and keeps the fat . . . oh gosh the opposite of what we want huh? By feeding your cells and brain with good healthy complex carbohydrates the body uses what it needs and you get energy stored in a healthy way. So what’s the good carbs and the bad carbs? All “Complex Carbohydrates” are nutrients that break down into glucose, your body’s primary source of energy and essential for the brain, and most foods contain them. Fruits and Vegetables! But not all carbs are created equal and we know not all calories are created equally. Sugars that are added to foods, baked goods, pastas, cakes, crackers, muffins and refined grains (even gluten free products) such as white rice are broken down quickly by your body as these are a simple chains of 2 sugar molecules “Simple Carbohydrates”. That means they provide almost-instant energy, but it doesn’t last and spikes insulin to be released which then has to be stored outside the cells and this kind of sugar can not be used within the cells, the body then sends in hormones to cope and candida to mop up the excess sugar. This unbalances the bacteria and the whole body goes out of balance this is the onset of diabetes and fatigue, all while not fuelling the cells and feeding the brain so you crave more sugar and you are on a roller coaster of energy and emotions. When you eat a complex carbohydrate (fruit or vegetables) in a whole food state that fruit or vegetable is a complete package of fibre, minerals, fructose that can be converted to glucose-remember the brains food. FRUIT DOES NOT SPIKE INSULIN. Other carbs, such as those found in whole grains, vegetables and legumes, take longer to digest, so you get a steadier supply of energy but that can come at a price if you are not combining them properly or our body is backed up with waste. Simple carbohydrate rich foods like bread can be very high in calories. But many foods that contain complex carbs, such as fruits and vegetables, are low in calories and high in vitamins and minerals so you can eat them in abundance without gaining weight. Others fall somewhere in between: Whole grains contain a lot of nutrients and calories, while white bread has no nutrients and still a lot of calories. Neither are good options for digestion and brain health and especially Autism or behavioural issues. What does this mean? Remove simple carbs like added refined sugar and refined grains like breads, biscuits, cookies, pastas, pastries, sweets, lollies and crackers (even gluten free) and consider all other healthy none processed carbohydrates to be a productive food to fuel your body and can be eaten in abundance like all fruit and vegetables. “Complex Carbohydrates” or “Natural sugars” are essential for the brain and if they are lacking in the body the gut can not produce the hormones it needs for proper function i.e. Serotonin and Gaba. So by increasing your healthy none processed carbs you slowly over time balance your energy, brain function and hormones. Loosing symptoms like brain fog, low energy, skin conditions and low mood and low libido. But don’t be fooled to thinking refined sugars “Simple Carbohydrates” will do this as they will cause the symptoms I have just listed . . . so NO lollies, sweets, chocolates and biscuits and trying to justify it’s good energy for the body, you know it’s not even in moderation! Eating your fruit in the morning to wake up your digestion and allow your body to exercise or work hard is important. If you eat breakfast of fats and proteins your body will have to work hard to convert that into glucose for the brain. Unless you plan to rest for 1-3 hours after each meal, this will not digest and you will then be adding more food on top throughout the day and feel tired and have brain fog. By eating fruit as your first meal to break your fast (sleep) this is easily digestable food and the body will not need to use as much energy to digest it and that energy will go to you for your work or exercise. Then lunch could be a light meal as well like a salad or fruit without fats or proteins so you fuel your brain without loading your body with heavy to digest foods. Dinner can be a light steamed cooked meal with fats if you wish for that as you have 12-18 hours after say dinner at 7pm to digest it. You can of course continue with a light meal of fruit or a salad to aid digestion further and give your body chance to heal. Remember no fruit after proteins, fats and starches! 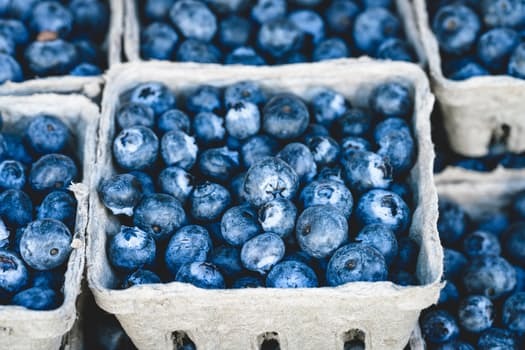 Team this information up with learning about fruit and how it can heal your body and give you sustained energy and feed your brain; The truth about fruit . . . So in conclusion Carbohydrates are a great essential food for your brain and cells but you must choose nature offerings not man kinds to get these benefits. https://nourishtohealth.com.au/wp-content/uploads/2016/01/images-4-1.jpeg 166 300 Hannah Miles https://nourishtohealth.com.au/wp-content/uploads/2016/12/cropped-nth-watercolour-banner-logo-tagline-social-media-300x114.jpg Hannah Miles2016-01-26 19:17:452018-01-29 08:53:26Carbs carbs carbs . . . good, bad and how many is right for you? The Truth About Sugar and Fruit . . . So is fruit good or bad for you? It makes you fat right? Well here is the truth about fruit and why it’s got such a bad wrap over the years. Fruit is a whole food containing an abundance of antioxidants and healthful nutrients, and the cellular scaffolding to fuel the body, it’s packed with protein and they hold enzymes and nutrients for your body and is instant energy for your cells and brain. In the modern word it’s a super food! So why the bad wrap? I’m glad you asked . . . it is because most of us was eating it at the wrong time, with the wrong foods and out of season old or unripe fruits. You see fruit digested very quickly so it must be eating on it’s own, preferable on an empty stomach to not cause fermentation in the gut . . . for example watermelon digest in 15 minutes and if you combine that with an apple that takes around 45-55 minutes this will cause gasses to be produced in the gut. Then the poor apple get’s the blame. Or mixing fruit with meat which takes 24-48 hrs to digest . . . you see it’s not the fruit it’s the combination of food. If you are following a GAPS Diet or strict Paleo Diet then you must keep your fruit consumption low as your meat and fats are so high and the combination is very bad for the body causing candida to thrive candida grows from fats and starches not complex sugars. Once you move away from the strict gut protocols after healing has take place and you have more freedom then follow the rules below. or just fill up on fruits and vegetables and your don’t have to worry as much about mixing foods. Now later I will explain how to get the optimum out of your fruit by eaten certain fruits with others or avoiding certain combinations this will take your health to the next level. But if you take anything away from this article, the rule is to have fruit on it’s own without nuts or any other foods and have it at least 1 hour away from other meals. This goes for water too ( I can see your eyes rolling) without getting distracted, drinking water is great for the body but no animal or human is designed to drink gallons of water and especially with food it then just washes out the nutrients and stops the stomach producing the bile it needs to break it down. Drink water only when you are thirsty (listen to your body health seekers, listen!) more on hot day and drink water away from food as it will stop the digestion process completely. How much water is good for you, and why you should never take it with food? All sugars are NOT the same. Don’t be afraid of fruit sugar. There is a big difference between a simple sugar and a complex sugar. Every cell in the body requires sugar!!!! Sugar = carbon. That is why we call foods high in sugar, carbo-hy-drates, carbon chained constituents. Carbon is essential, over fats and proteins (amino acids). They are essential to creating ATP, what we call cell ENERGY. We are charging the battery of the cell. Our body is made of carbon cells that feed and eliminate, just as every living thing on the planet does. “The magnetic electrical research field will come to prove that the human body is an electrical being and our health (strength and endurance) depends on the ENERGY currents which run through the body.” – Dr. George S. White, M.D. Each cell must have sufficient oxygen and fructose/glucose to convert the simple sugar into adenosine triphosphate (ATP). This is pure ENERGY for the life processes of the cell, through aerobic oxidation. A delicately balanced distribution of sodium and potassium in and around the cells must be maintained at all times. 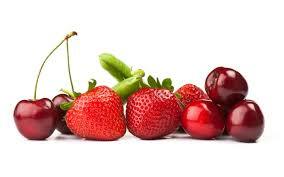 Fruits are higher in antioxidants and astringents and will move your lymphatic system far better than vegetables. This is why we see a lymphatic response when a fruit is consumed, and that is what we WANT to see. Fruits, also being a simple sugar, are even superior for diabetics, pancreatitis, hepatitis, and all other gastric and intestinal conditions. Fructose does not require insulin or extensive digestive enzymes. It needs no conversion. Fructose is not broken down into glucose; it absorbs directly into the bloodstream ready to be used. It enters the cell by diffusion. Fruits’ magnetic (electrical) ENERGY is the highest of all foods, making them the superior brain and nerve foods. They will bring ENERGY to the body, where most other foods take it away. Our body is not meant for complex sugars (starches), complex carbohydrates, processed foods full of chemicals, toxins, refined and processed sugars (like corn syrup, which in no way resembles a simple sugar). It has been so processed and concentrated it is poison and unrecognizable to the body. Simplicity in digestion and absorption is key. Simple sugars such as fructose and glucose found in fruits, berries, melons, greens, and vegetables are what the body requires to thrive. Sugars of the highest quality. How do you now what fruit goes with what? Well there’s a few simple rules and using charts like the one below can help. Until I learnt this I had it on fridge to always check the combinations. The rule is: sweet fruit never with acid fruit – so banana and pineapple is a no go! But a sub-acid fruit like a plum can go with a sweet fruit like a banana. BINGO! Then there’s melons ALL melons should be eaten on there own away from all other fruits and foods, so that’s the 80’s parma ham melon dish is out! We start our day with watermelon or have it late in the afternoon at least 1 hour after a salad and at least 1 hour before dinner. 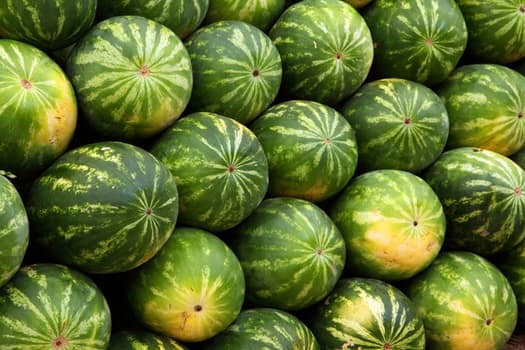 Watermelon digest very fast in 15-20 minute and as I know far too well if you eat it after a meal you get a very bloated gassy stomach as it is fermenting on top of grains, meat, starchy vegetables and causes a whole heap of trouble for your poor system. We need to go back to simple eating, mono foods (one food at a time) and simple combinations as our guts aren’t designed to have 10-15 ingredients at each meal and then a meal every 2-3 hours with a new 10-15 ingredients. Without being another person saying to look back to primal eating . . . but look at monkeys they eat 1-5 foods without combining them, when they do eat meat they eat it on it’s own. When we used to farm the lands we ate grains as meals without loads of combinations and cooked them well after soaking. often starches for boring and proteins for dinner only eating 1-2 meals a day. We now eat many meals on top of each other without digesting the last and with bad combinations, and the result is disease and sickness. So leave the meats, fats, nuts, legumes away from fruit but these can be paired with starchy vegetables and non starchy vegetables. Food combining and why is it essential for health!-chart. Grains and starches should also be away from fruit so no porridge and fruit or paleo granola and fruit, but also away from proteins like meat, nuts and legumes as this is also a bad combination on the digestive system. Non starchy vegetables are fine with grains. So, Why no grains you ask? Grains and greens yes! Fruits and greens yes! Protein and greens yes! Starches and greens yes! Greens and fats yes! Acid fruits and fats yes! Starches and fats no! Proteins and fats no! Starches and proteins no! Grains and starches no! Fruits and anything but greens . . . no way! I share this information not to get you into a panic about fruit but to show you fruit is a super food and should be in all of your diets as it is turned in to glucose which is what our brains and cells feed off. Often candida is caused by fruits and fats not being combined properly not the natural sugar in fruit. Those who have done candida cleanses and still find they have problems will agree with me. As they don’t address the food combinations, they just remove most fruits which helps for a while but then when they come off the cleanse or elimination diet the issues return back again. Fruit has sugar in it, your right but it is not a refined sugar that switches on receptors in the brain and makes you addicted like refined flour products (even gluten free), nor does it damage cells and cause insulin resistance (diabetes) like simple refined sugars do. Fruit has fibre which makes us feel full and provides other metabolic benefits. When you bite into an apple, for example, the fruit’s fiber helps slow your absorption of fructose (fruit sugar). Which is why fruit juices and dried fruit are causing issues with blood sugars and insulin as there is not the fibre to stabilise it in the blood and move the energy to the cells, so it just spikes and then your adrenals kick in to contract it. As long as you eat it away from other foods so it can digest and not ferment in the gut it will not make you fat but fuel your body and feed your brain with the much needed glucose it needs to function. You see any fat monkey’s and chimps in the wild? No, but you do see it in zoo’s where they feed fruit with nuts, grains and soy products to bulk their diet’s out! Don’t mess with nature human kind . . . it’s on it already and we survive for umpteen years before man come in trying to cook, change and create unnatural foods. Unnaturafying foods. I am sure that is not a word but I am rolling with it! Studies have found that introducing fruit daily, eaten at the right times as per above have helped heal diabetes and obesity. (Again I will mention this in my Carbohydrate blog) diabetes can be healed very very quickly with the removing all unnatural foods and replaced with a high fruit and vegetable lifestyle with low healthy fats from nuts, avocado and seeds. So what are you waiting for grab an apple and start eating fruit again and feel the life force return to your body! Here is my food digestion chart to show you why foods can not be combined like the do on most peoples plates without causing gut rot and purification-gas, bloating, pain and wind. DIGESTION TIME OF VARIOUS FOODS: This is approximately the time spent in the stomach before emptying into the intestines and bowels. Pure Distilled Filtered Water is Alkaline. When the stomach is empty, it leaves immediately and goes into intestines. Fruit, vegetables, vegetable broth – 15 to 20 minutes. Blended smoothies and salads, vegetables or fruits – 20 to 30 minutes. Other melons – cantaloupe, honeydew etc. – 30 minutes. Apples, pears, peaches, nectarines, plums, persimmons, papaya, pawpaw, grapes, cherries, berries etc.- 40 minutes. Orange, lemons, limes, strawberries, blueberries, grapefruit – 30 minutes. Raw salads and vegetables – tomato, lettuces, cucumber, celery, red or green pepper, other succulent vegetables – 30 to 40 minutes. Steamed or cooked vegetables without oil is Alkaline. Leafy vegetables, spinach, kale, greens etc.- 40 minutes. Zucchini, broccoli, cauliflower, string beans, yellow squash, corn on cob – 45 minutes. Steamed or cooked vegetables with oil is Acidic. Leafy vegetables, spinach, kale, greens etc. – 65 minutes. Zucchini, broccoli, cauliflower, string beans, yellow squash, corn on cob – 70 minutes. Cooked root vegetables without oil Alkaline. Not recommended to roast in oil (Oil slows digestion). Carrots, beets, parsnips, turnips etc. – 50 minutes. Cooked root vegetables with oil is Acidic. Carrots, beets, parsnips, turnips etc. – 1hr 15 minutes. Semi-Concentrated Carbohydrates (Starches) is Alkaline. Artichokes, butternut squashes, corn, potatoes, sweet potatoes, yams, chestnuts – 60 minutes. Concentrated Carbohydrates – Grains is Acidic. Really not recommended for good digestion. Brown rice, millet, buckwheat, cornmeal, oats – 90 minutes. Not recommended for good digestion, but in moderation in good combinations can be tolerated especially when sprouted. Lentils, lima beans, chickpeas, yellow peas, kidney beans, etc. – 90 minutes. Soy beans – 120 minutes. Seeds & Nuts is Alkaline. In moderation in good combinations. Seeds, sunflower, hemp seeds, pumpkin, pepitas, sesame – 2 hours. Nuts, Almonds, macadamias, peanuts (raw), cashews, brazil nuts, walnuts, pecans etc. – 2 1/2 to 3 hours. Avocado, coconut, nut butters – 3 hours. Cooked or extracted fats is Acidic. Trans fats, olive oils, coconut oil, butter, canola oil, rice bran oil, rapeseed oil etc. – 6 hours. Skim milk, soft cheese, low fat pot cheese or ricotta – 90 minutes. Whole milk soft cheese – 120 min. Whole milk hard cheese – 4 to 5 hours. Whole egg – 45 min. Fish, cod, snapper, flounder, sole, seafood ect. – 30 minutes. Fish – salmon, salmon trout, herring, (more fatty fish) – 45 to 60 minutes. Chicken – 11/2 to 2 hours (without skin). Turkey – 2 to 2 1/4 hours (without skin). Beef, lamb – 3 to 4 hours. Pork – 41/2 to 5 hours. Animal proteins is Alkaline when eaten alone. Egg yolk – 30 minutes. Remember this is leaving your stomach. These foods can sit in your colon for up to 4 days if your digestion is not good or you have poor food combinations, especially meat. For the best digestion choose easy to digest foods and in the right combinations. What does “Mindful Eating” really mean and how can it help your food intolerance? https://nourishtohealth.com.au/wp-content/uploads/2016/05/fruit.jpg 1155 1732 Hannah Miles https://nourishtohealth.com.au/wp-content/uploads/2016/12/cropped-nth-watercolour-banner-logo-tagline-social-media-300x114.jpg Hannah Miles2016-01-26 14:12:282018-03-29 04:07:05The Truth About Sugar and Fruit . . . Even Though The Doctors Said I Never Would! Get Your FREE 48 Hour Webinar Pass Now!